The number of homeless men, women and children living in the streets of the City of Los Angeles has reached a crisis level. Between 2016 and 2017, the number increased by 20 percent to a reported 34,189 homeless individuals living on the streets of Los Angeles. To continue to look the other way and ignore the City’s homelessness crisis is neither morally acceptable, practical, nor financially sound. We, the citizens of Los Angeles, petition and demand that the City enforce its laws and provide humane and suitable temporary shelter for homeless Angelenos on City-owned property until a reasonable transition to long term housing can be provided. California Government Code section 8698 et seq. authorizes the City to designate public facilities, such as City owned properties and parking lots, to provide temporary housing for those without shelter. The City should provide temporary housing on under-utilized City-owned property and make such property available to those living on sidewalks and other public rights of way. In a recent report on homeless encampments, dated September 27, 2017, the City Controller, Ron Galperin, recommended that the City create defined spaces for temporary shelters on appropriate City–owned properties. And in his recent State of the City address, dated April 16, 2018, Mayor Eric Garcetti states that the City “needs to stand up emergency shelters fast and now” to serve as “a rest stop on the path to permanent housing.” We support the City Controller’s and the City Mayor’s reports and their solutions to address homelessness, and we demand that the City takes immediate action. The homeless encampments on City sidewalks and public rights of way pose public health and safety issues that the City has long ignored. The City is unable to enforce its own laws and regulations and has for too long turned a blind policy eye on the men, women, and children who sleep on sidewalks, in makeshift tents or cardboard boxes, block after block in Downtown Los Angeles and other communities across the city, making these particular unsheltered homeless citizens especially vulnerable to disease, addiction, crime and despair. Unable to access sidewalks, citizens, including those with disabilities, are forced to walk in public roadways alongside vehicles, which presents an additional safety hazard and contributes to traffic accidents. We can do better, for ALL Angelenos - beginning with those who are the most vulnerable. The number of homeless men, women and children living in the streets of the City of Los Angeles has reached a crisis level. The status quo can no longer stand. WE, THE CITIZENS OF LOS ANGELES, petition and demand that the City provide humane and suitable temporary shelter for homeless Angelenos on City-owned property until a reasonable transition to long term housing can be provided. Our Mayor and City Council must know how much we all agree. Furthermore, to address this problem, we personally pledge to engage our local community to generate suggestions and buy-in while offering our time, resources, and dedication as volunteers to make these ideas actionable. As citizens, we ask that city officials explore avenues for greater transparency and communication so that we can work efficiently, together, towards this shared goal. 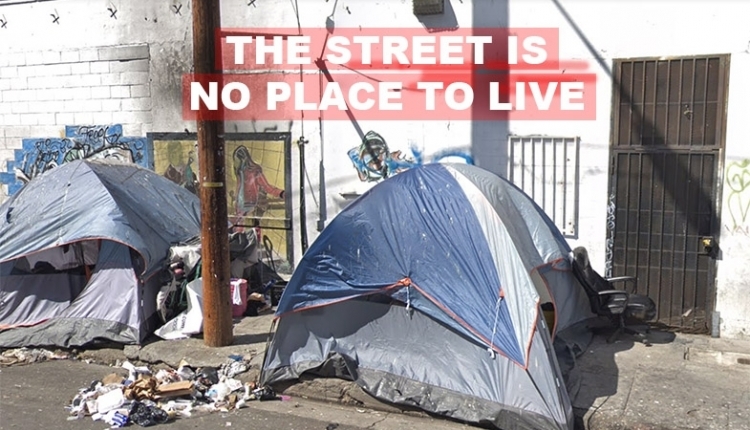 The Tents to Tenancy (The streets are no place to live) petition to City of Los Angeles was written by A Move for Life and is in the category Human Rights at GoPetition.